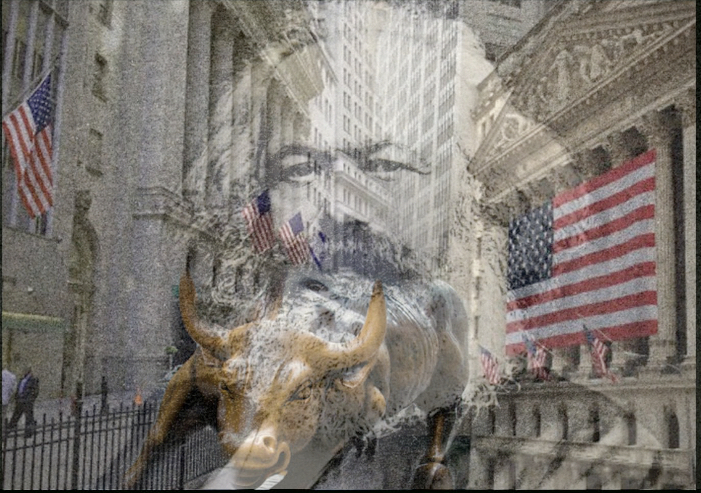 Wall Street: Karl Marx understood how you work! In his piece, Value, Price and Profit, Karl Marx argued that an increase in wages does not cause price increases. Rather, it causes a cut in profits. The piece is a debate with a man named Weston, who argued that it makes no sense for workers to fight for higher wages, since that will only result in higher prices. If that were true, Marx answered, then a cut in wages would mean a cut in prices. He asked why wages are necessarily fixed as a set percentage of the cost of production. If that percentage cannot increase, then it can’t decrease either. So it makes no sense for the capitalist to push for a cut in wages either. But that is exactly what they do! Marx explained that if wages in general rise, there would be an increase in demand for the kinds of goods workers typically buy, allowing for increased prices for those products. Meanwhile, there would have been no increase in demand for the goods that the capitalists buy, meaning that those prices could not increase. That means greater profits for the producers of goods that workers buy than the profits for those that the capitalists buy. The result would be that capital would tend to flow into the more profitable sector – consumer goods for workers. That would increase the competition in that sector, forcing the prices back down again. The ultimate result is that the percentage of the total cost of production that goes to wages increases. Where does this increase come from? It must be taken out of the profits! As a carpenter, I worked for a small remodel contractor for awhile. He always told me that if he had to raise his wages, he’d just increase his bids. I thought about that. If he and others like him increased their bids for kitchen remodels, for example, then some potential customers would decide to either do it themselves or use the money to take a vacation in Italy. The result would be decreased demand, meaning he’d have to cut his prices. Thank you john. Great article.